The close-knit relationship of four friends is seriously threatened when one of them undergoes a sudden change of life and sets out to get the others to follow suit. Paul, Linda, John and Cindy are best friends who meet monthly for dinner parties. Living far from home and unable to get along with their relatives, they’ve become like a family. 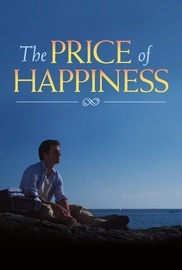 When Paul’s father dies of a sudden heart attack, he questions the meaning of his life. The most responsible one in the group, he unexpectedly quits his job as a corporate attorney, soul searches and undergoes a spiritual transformation. Having now found true happiness and meaning in life, Paul tries to convince his friends to embrace his new philosophy, which results in growing conflicts within the group that finally reach a boiling point.